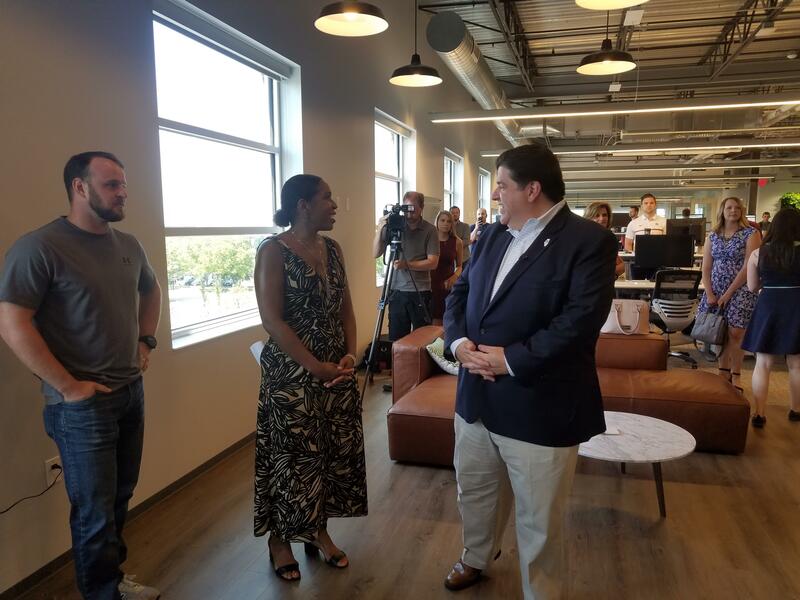 Democratic gubernatorial candidate JB Pritzker (Right), with running mate Juliana Stratton, at the offices of Granular at the Univeristy of Illinois Research Park in Champaign. 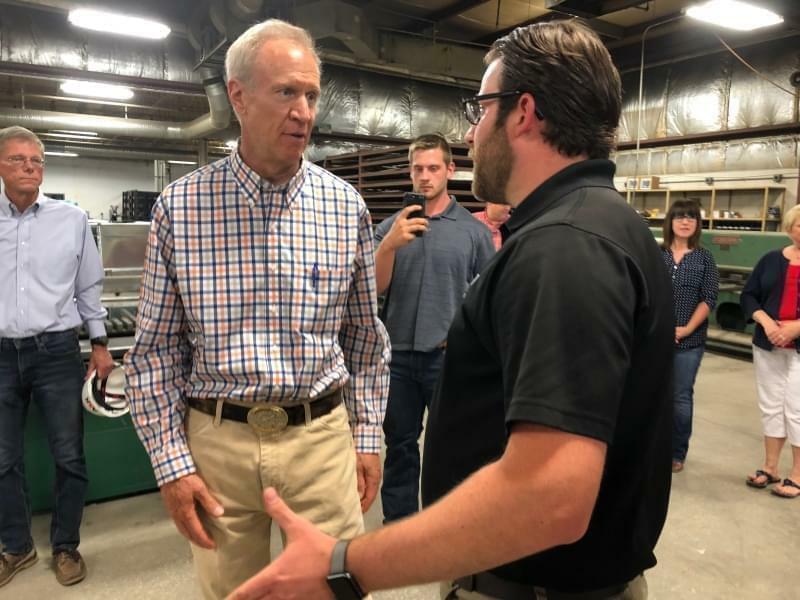 Both Governor Bruce Rauner, and his Democratic challenger JB Pritzker have paid recent visits to technology companies in Champaign-Urbana. 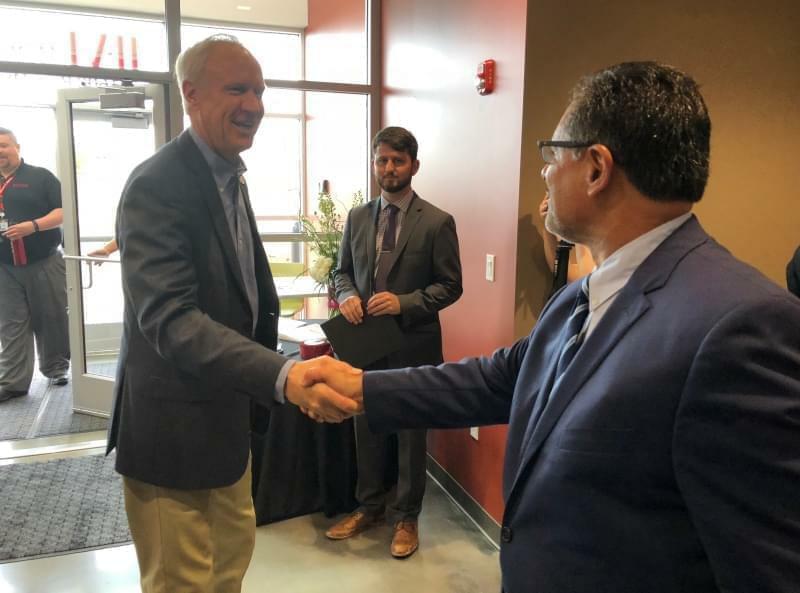 Rauner came on July 3 to make amends for disparaging remarks he made about Champaign-Urbana on Chicago talk radio station WGN. Pritzker and his running mate, Juliana Stratton, came on July 13. 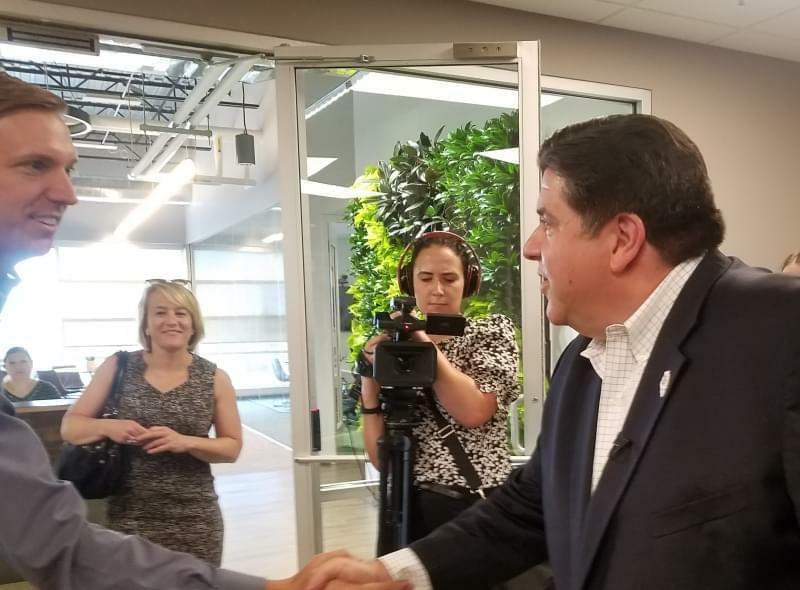 Pritzker used his visit to say that as governor, he would give more attention to Champaign-Urbana than Rauner. Both the governor and Pritzker included Granular on their schedule. The San Francisco-based farm management software firm (part of DowDuPont’s Agriculture Division, which is spun off as a separate company, Corteva Agriscience) has a facility at the University of Illinois Research Park in Champaign. Granular’s Landon Frye says the firm opened its Champaign-Urbana office to get closer to its agricultural customer base. While Gov. Rauner had said on WGN that Champaign-Urbana had retaining “a company of more than six people”, Frye said that Granular’s Champaign office currently has 43 employees, with a goal of employing 65 by year’s end. Pritzker told Frye that by opening in the U of I Research Park, Granular was getting the best of both worlds. Pritzker also attended a high tech business roundtable at the Research Park. There, he heard from executives with several local tech companies, including Inprentus, Earthsense, Pixo, LifeFoundry and PhotoniCare. Research Park Director Laura Frerichs says her message for both Rauner and Pritzker is that Champaign-Urbana has a business sector that is thriving and growing. Frerichs says Champaign-Urbana could grow even more with a little more attention from state government. She says the area could use some help in improving passenger rail service, with more scheduled trains from Amtrak and fewer delays because of schedule conflicts with Canadian National freight trains. Frerichs also wants a new more advanced facility for the Research Park’s high-tech business incubator.